So I’d edited and polished, polished and edited my debut novel – it shone! But now how to find a literary agent who loved it as much as I do? There’s so many agents listed when a search on Google is done, where to even begin?! I admit I was lost. I didn’t want to thumb my way backwards and forward through paperback listings, and I didn’t want to work my way blindly through hundreds of search engine results. There must be another way. Well you know, I mean there must be an easier way to find the right agent for me. I had specifics and so do agents, how to get the jigsaw pieces to fit together? And then I came across the Agent Hunter website. Bingo! I was a little suspicious at first, I mean there are all sorts of scams out there trying to part a naive new writer from their money. But I signed up for a free trial and got searching. 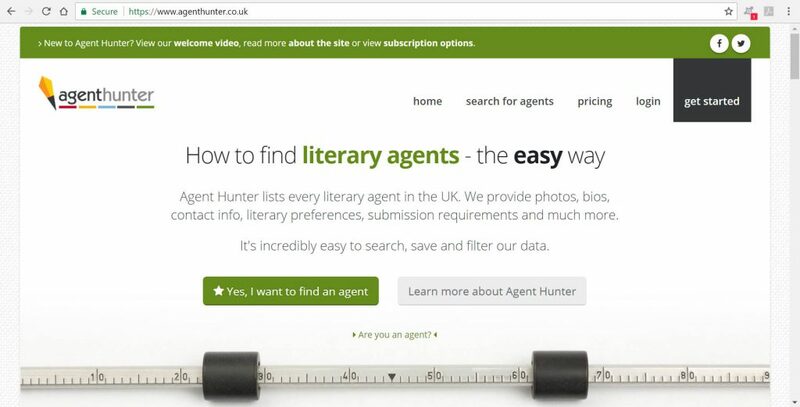 There’s the ability to search for agents or agencies, and even publishers. Your search can be narrowed down to quite detailed specifics. I was looking for an agent who was open to submissions, looking for crime writing and a member of the Association of Authors Agents. There were other categories to narrow down my search too, and I found a reasonable number to try out. Now I can’t say I found an agent on my first (or even on my second) submission, but what I did find was the right agent for me! Yes, that’s right I found an agent and I’m thinking our jigsaw pieces fit together well. And we’re starting off on the trail to publication, I’m so excited. So all thanks to Agent Hunter and my recently found literary agency Diane Banks Associates. Yippee! Here’s where I post my news, reviews and general ramblings.